Bayern recently won the Bundesliga title with 72 points drawn in 29 games. Your recording has 23 wins, 3 draws and 3 defeats. Regarding goals, the Bavarians have 76 scored and 21 conceded, with an average of 3.3 goals per game. His home performance has been fantastic, with 12 wins in his 14 games in Munich. The phase of the team is quite good, registering 6 wins in the last 7 meetings. In the previous round of the millionaire league, Bayern eliminated Besiktas with a double victory 5-0 and 3-1. Sevilla are in seventh place in the Spanish championship with 46 points, with 14 wins, 4 draws and 13 defeats. So far, the Andalusian emblem has scored 39 goals and 50 conceded, making an average of 2.9 goals per game. His out-of-doors performance has been median, adding six wins in his 16 away games. The Montella-led lineup is in bad shape as they have only won 1 of the last 6 meetings. In the last tie, Sevilla managed to eliminate Manchester United from José Mourinho. 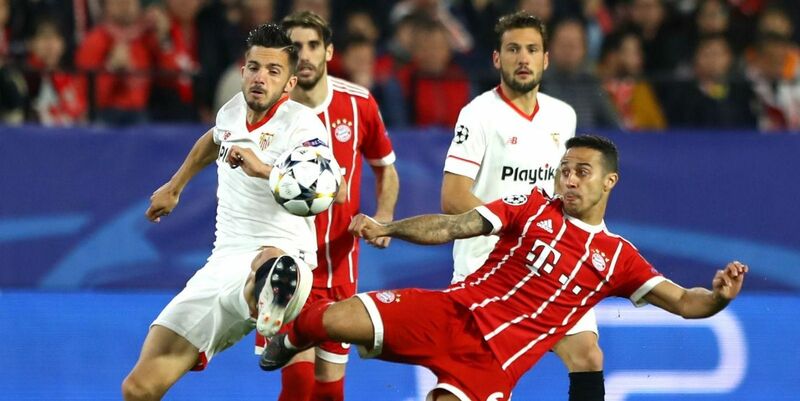 The first-leg match meant a 2-1 win for the Bavarians, so it’s very difficult for Sevilla to come back. For this second-leg encounter I see value in exploring the goal market, bearing in mind that Sevilla have nothing to lose and should take a more aggressive stance. In addition, Bayern have an incredible moment in the offensive chapter, especially at home, where the Over 3.5 line was fulfilled in 6 of Bayern’s last eight games in Munich.